[Updated from 1/28/2017] Victimized guard says Walker shares blame for her beating. When it comes to the state-sponsored nightmare that has been festering at Wisconsin's Lincoln Hills youth prison, what language suits you? Given the power differential between the state and underage inmates, I don't think so. Even Fox6 TV called it "cruel and inhuman punishment" when posting information about a federal lawsuit filed in response. Guards and a nurse performed CPR on her for at least 20 minutes while they waited for paramedics to arrive at the troubled juvenile prison in Wisconsin’s rural north. Briggs survived but emerged from a months-long coma with serious brain damage. Do you remember this disgusting story about conditions in the state's youth prison which we the taxpayers pay for? ...teenagers sentenced to serve time at the state’s youth prison in Irma face being taken to a cell no larger than about the size of a gas station bathroom, outfitted with a single metal bed and metal toilet. There’s one window in the cell’s door, as wide as the inmate’s face, that looks across a hallway into another cell. Food is slid through what could be a mail slot. In some cases, inmates at the youth prison have spent weeks at a time in isolation, according to current and former inmates and staff. The official policy limits confinement in isolation to 60 days. And are not new - - with the Governor having been notified about these terrible conditions being inflicted upon juveniles in a state facility, at taxpayers' expense - - in 2012! Retired Racine County Circuit Court Judge Richard Kreul was caught off guard when he heard a 2012 letter he sent to Gov. 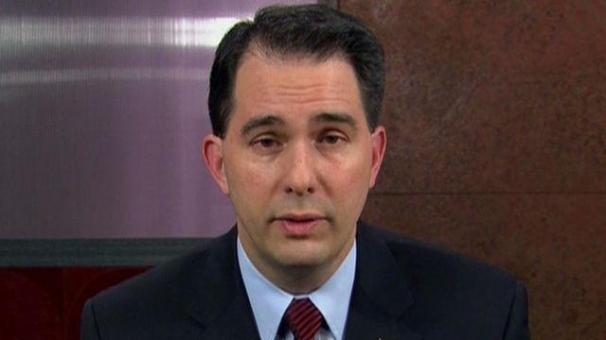 Scott Walker about a sexual assault at Lincoln Hills had surfaced. That surprise turned to outrage after learning the governor never saw the letter and that years passed until investigations into problems at the Irma youth prison began. “I guess the expression would be, ‘They swept it under the rug,’” Kreul said this week in a phone interview from his home in Texas, where he moved after retirement. Sexual assaults. Injuries leading to amputations. Now a horrifying suicide attempt. Against or suffered by youngsters. Why should it take a federal lawsuit to bring this nightmare more fully to public attention, and to the authorities to bring the nightmare to a close? Does Walker have to be confronted with deaths there - - as have victims, their families and Milwaukee County taxpayers who endured four deaths last year in Sheriff David Clarke's jail - - before some serious remedial action is taken, or ordered? Sorry, Matthew 25:35 really applies to the refugees...for the juvenile inmates it should be Matthew 25:36, 39-40. ARE YOU PEOPLE INSANE!? IT IS A PRISON! You parents that complain should have been better parents ! You should have taught them right from wrong. These are not children that you see in the library . These are kids that beat ,stabbed, raped and stole their way into PRISON ! They are INMATES, look it up . This isn't summer camp, they're not scouts . Guards don't walk around and randomly spray people with pepper spray. It is to protect other INMATES or themselves.